April 4, 2018, marks 50 years since Martin Luther King Jr. was assassinated in Memphis, Tennessee. April 4, 2018, marks 50 years since Martin Luther King Jr. was assassinated while standing on a balcony at the Lorraine Motel in Memphis, Tennessee. Today, the motel is part of the National Civil Rights Museum, where interactive exhibits, oral histories of civil rights foot soldiers, and emotionally charged historical documents, objects and images tell the story of the American civil rights movement as well as five centuries of history preceding it. As you walk to the museum’s entrance, along the motel, past room 306, where King stayed, you can stop at listening posts to hear the personal stories of people who were there in 1968 during the sanitation strike and other events that led to his death. It is a powerful experience. You can learn more about this chapter in Memphis history, a strand of the city’s DNA, at the Stax Museum. The self-guided tour begins with a short film that includes archival footage of performances and interviews with the musicians who worked at Stax, many of whom, like Cropper and David Porter of Sam & Dave, lived in the neighborhood. The tour lays the foundation for exploring the fascinating exhibits that document the evolution of the Memphis sound. Jim Stewart, who founded Stax with his sister, Estelle Axton, was inspired to become a music producer by Sam Phillips, a Memphis radio technician who founded Sun Records and Sun Studio, where Elvis Presley made his first recordings. 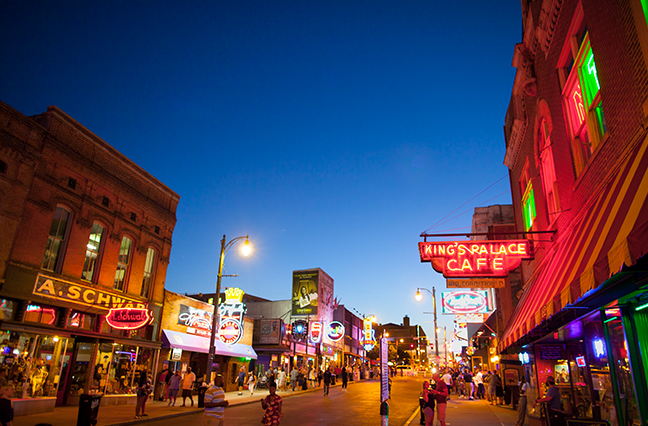 A stop here is another don’t-miss Memphis experience. A plumbing business and auto parts store set up shop in the studio during the two decades it was closed, but today the studio appears much as it did in its heyday. Among the cool features of this birth-of-rock-’n’-roll tour: listening to the original audio of Elvis, Johnny Cash, Carl Perkins and Jerry Lee Lewis bantering during an impromptu jam later dubbed the “Million Dollar Quartet” session.